LIVE TRAININGS BEGIN FROM MAR 23! CLAIM THE POWER OF THIS ANCIENT TOOL WITH ALL ITS PRACTICAL AND SPIRITUAL BENEFITS TODAY! Are you ready to learn the art of sacred speech the way it's meant to be done? Let's train you with precision spiritual tools, an ancient technology that can help to transform your consciousness today. Over the past few years, we have trained not only many hundreds of yoga teachers, artists, mantra practitioners, and therapists, but also lawyers, nurses, business professionals and educators. We help improve lives by empowering voices. This premier training includes nine exclusive training modules of classic mantras in the Yoga and Veda traditions; together with more than two dozen reference trainings to precision condition your hearing of mantras with expert correction of common errors; plus two full seasons of live trainings to fine tune your pronunciation of mantras through one-on-one attention in peer groups conducted conveniently online. Your online access and support begins right away and ends one full year from the time you receive access. Your purchase includesacceptance of our standard Student Agreement. ​With almost 30 years of teaching experience at every level of education, from yoga studios to the doctoral level, you are offered the credibility of teaching at accredited academic institutions in the USA together with extensive teaching at all of the leading-edge alternative educational institutions in North America (Kripalu, Omega Institute, Esalen, Hollyhock, etc) that host the spiritual luminaries of our time. Having also presented at many of the most prestigious spiritual conferences in North America and internationally, the quality of the tutorials you receive include researching and offering online study when it first began in the 2000s along with the production of world-class media and literary works for some of the most highly regarded music and book publishers in the United States. You are in good hands! ​What is the curriculum for this Level? The curriculum is comprised of 10 modules. The first modules establish you in the correct sounds of the Sanskrit alphabet. The other modules teach specific mantras, mostly from the Vedas. Most of these mantras are chanted in ashrams and yoga studios so we focus on these “classic” mantras. For example: the Gayatri mantra. The strength of the program are the custom-designed modules coupled with extraordinary training and profound levels of understanding. But what if I know these mantras already? Even if you “know” these mantras, this program trains you in the traditional “Vedic” way of chanting them and the proper way to enunciate them. You are connecting to a living current that is at least 5000 years old. Beautiful though they may be, contemporary musical and artistic expressions of mantras often change the meaning of the words which are preserved in the Vedic form of chanting. You should know the difference through your own practice and be able to engage both forms for yourself and others. But can’t I learn the meaning off the internet? 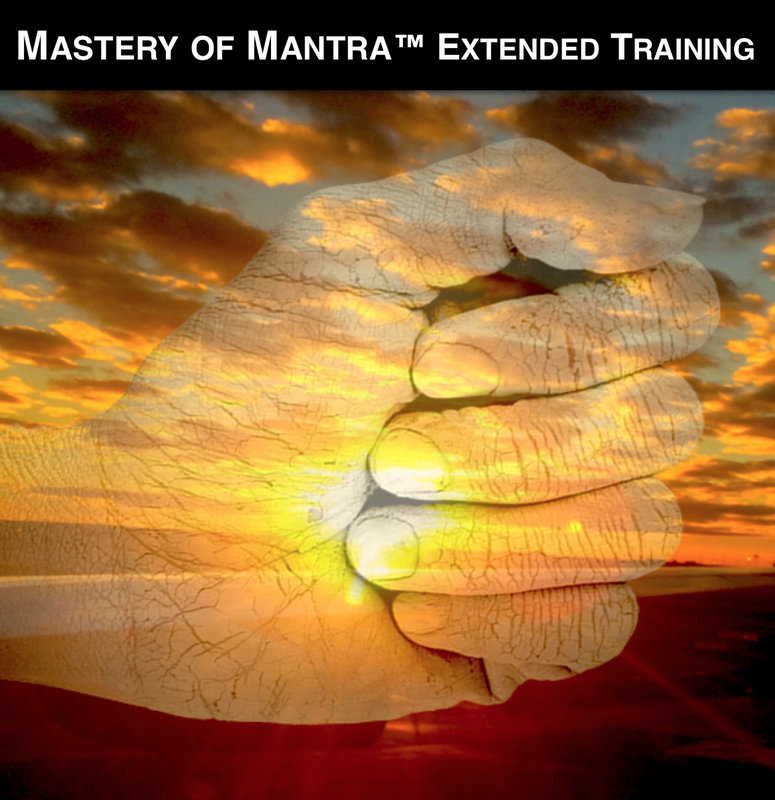 This program offers a level of meaning and understanding of these mantras that you simply will not find elsewhere. Many of our students are yoga teachers and quite a few have been chanting mantras for decades. This program is one of the highest levels of mantra education you can come by as a westerner. The numerous testimonials we have attest to this. But I can listen to these mantras on YouTube? There is a huge difference when you learn to chant them using your own voice. When you listen and learn by yourself, without expert correction, you can actually be entrenching incorrect pronunciation even deeper. We have powerful methods to help you identify and "unlearn" bad pronunciation while empowering yourself with good pronunciation when it comes to mantra chanting. When you learn to chant mantras this way, you tap direct perception into the nature of spiritual reality. In Yoga, we call this “pramana”. But I can go and study these mantras in India? It is unlikely that you will receive the same shaping of your chanting proficiency. To the greater extent, teachers in India do not know the nuances of how westerners use their mouth to pronounce sounds in language. You will have to find a teacher who is knowledgeable about the proper way to chant mantras, who is scholarly, and can communicate effectively in English. And help you "unlearn" the incorrect pronunciation that is entrenched in you. Not easy. We specialize in it. Why does it take one year? Can’t I do it sooner? You can, but for most people, it takes time. You cannot force this process to happen overnight, nor should you. This is why we spread out this process over a year, so that you can, with a modest amount of time and application, systematically gain a really strong foundation in mantra pronunciation, perspective and practice. If you want to complete this program in a shorter period of time, we recommend one-on-one coaching. Need to contact us about about this training?